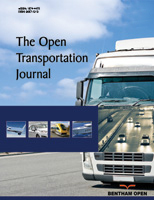 The objective of this study is to compare and explain the process and time-cost of passenger transportation by an international bus crossing three border gates between Laos and Vietnam, which are the (1) Nam Phao-Cau Treo (2) Na Phao – Cha Lo and (3) Dansavanh – Lao Bao border gates. The target groups of the research selected by purposive sampling are land passenger transportation service companies and land transport passengers, who, through interviews and observations, are the Key Informants (KIs). The results reveal that (1) there are many routes and bus companies that provide local and international passenger services. The main group of passengers is Vietnamese crossing into Laos and linking to Thailand. (2) The international bus service across the Cha Lo-Na Pao border gates is shorter than the other pair border gates (3) The information system for transportation is inefficient (4) The single window system policy at Dansavanh – Lao Bao border gates can reduce the immigration checkpoint process by about 30 - 60 minutes. Therefore, the governments of Laos, Vietnam and Thailand should focus on intergrating transportation policy, such as employing one bus from Vietnam to Thailand per day starting in Vietnam and traveling to Thailand, crossing at the Na Phao-Cha Lo border gates and reducing the time at the immigration checkpoint in order to enhance and support economic cooperation in this region. Keywords: Land passenger, Border gates, GMS, Laos-vietnam, Transportation, Key Informants. © 2019 Nonthapot et al.